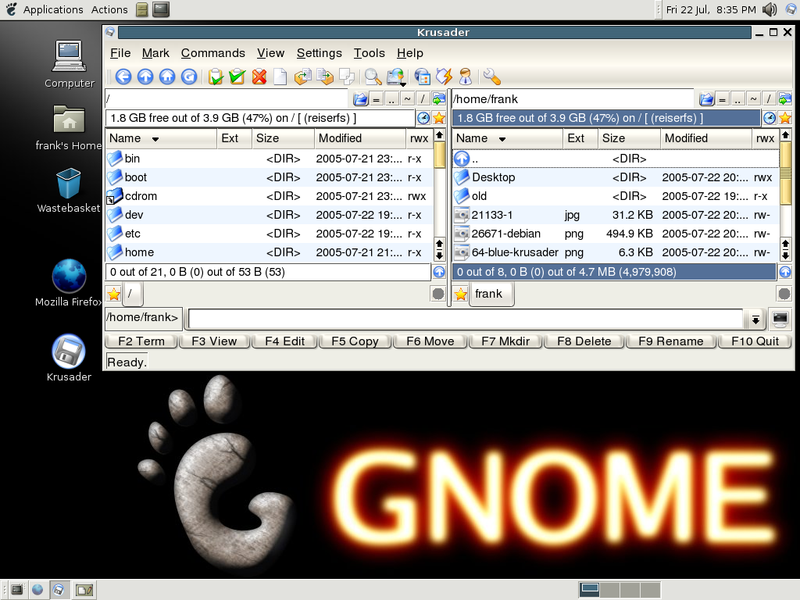 Krusader is an advanced orthodox file manager for KDE and other Unix/Linux environment similar to GNOME or Midnight Commander for Linux or Total Commander for Windows. Krusader is developed by the Krusader Krew and is published under GNU General Public License. Krusader's user interface is based on orthodox file manager which has two windows called panels where either one of the panel is active and the other is inactive. Built in disk usage tool etc. Supporting a wide variety of archive formats, Krusader file manager is highly customizable, user friendly and have a pleasant look. You can download the stable and beta version of Krusader file manager get-krusader. Krusader has a detailed documentation and you can download the pdf documentation here.